There is something about a surprise that is exciting and keeps us wanting more. The gift bag at an event, the small box with your favorite brand’s logo printed on top – the thrill of receiving something unexpected is one of life’s pleasures. Jessica Greenhill recently launched myBOOKbag, an online subscription book program that enables readers to connect with independent authors nationwide. The company allows readers to subscribe for $30 per month and receive a monthly bag full of books. MyBOOKbag is centered on the idea of indie readers and authors expanding their cognitive borders beyond the New York Times’ Best Sellers list, with a bag of books covering all genres, which creates an element of surprise. 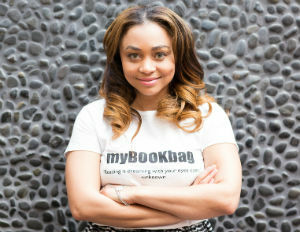 BlackEnterprise.com got the chance to speak with Jessica about myBOOKbag and her vision for the book sampling service. BlackEnterprise: When did you realize there was a need for a service such as myBOOKbag? Greenhill: A couple of years ago, my sister published her first book. Through her process, I realized that there was not a platform that focused on authors and their literary work. There was not a service that was providing exposure for authors, allowing them to showcase their work to a wide audience. With all of the beauty subscription services popping up, I decided to focus on books. Greenhill: When I was younger, I had a great aunt who worked at a publishing company. She would come home from different events with boxes of books. I was soon able to build a library at a very young age, and I would read my books over and over again. I have always been inspired by what is between the pages of books, and I love to get lost in what people are writing about. How do you see this helping young adults engage in the offline activity of reading? Greenhill: So much of our activity is based online. I believe it is important to disconnect from the noise. Books are a gateway to learning, exploring and expanding horizons. Youth and young adults will see everyday people, just like them, who are authors and featured in myBookBag. A lot more is caught than what is taught. When people see the possibility [of becoming an author,] they may say, ‘Hey, I can do that!” and begin the process to become one. What types of reading materials will we find in the subscription? Greenhill: You will find typical children’s books including picture, activity, and illustration books. For adults we have been receiving submissions from many genres. We have an Author Partnership Program where authors submit their work for review. Direct interaction with the authors is a big part of this subscription service. In addition to online chats, we plan to host book readings with the authors once or twice a month, so subscribers can meet them in person. At the first of every month, subscribers will receive a bookbag full of books based on their subscription preferences. Each subscriber will have the option to choose which genres of books they are interested in receiving. For $30 a month (shipping included), you’ll receive two to three books from local, indie authors once a month. Daron Pressley (@daronpressley) is an entrepreneur and former Fortune 500 sales and marketing executive who has been featured in outlets including Fox45 News, Black Enterprise magazine, and The Washington Post. Knowledgeable in marketing and branding, Pressley works with professional athletes, organizations, and individuals to develop strategies to create, build, and grow brands. As a speaker, Pressley has reached more than 20,000 students. 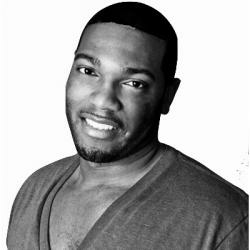 He also provides dynamic insights on leadership and branding via his website DaronPressley.com.